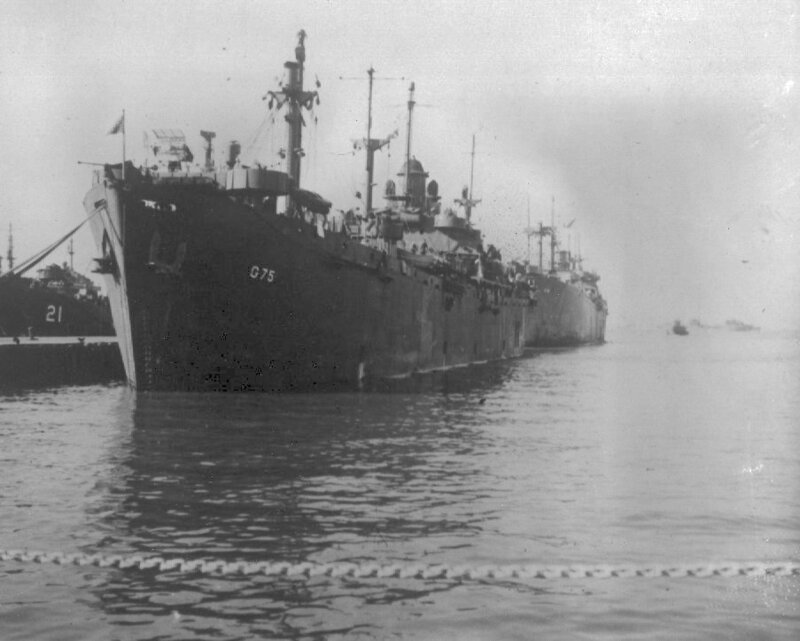 Laid down, 16 October 1944, as a Maritime Commission type (EC2-S-C1) hull under Maritime Commission contract (MCE hull 3080) at New England Shipbuilding Corp., South Portland, ME. 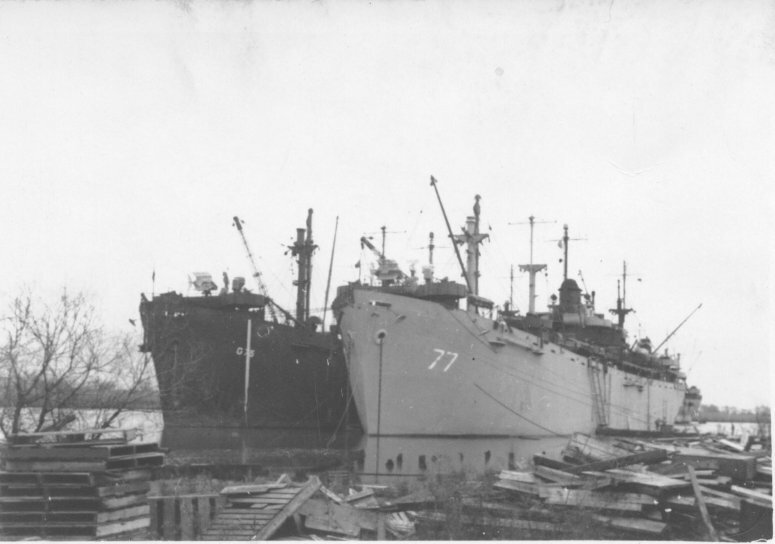 Decommissioned, 7 December 1945, at Newburg, N.Y. Converted for Naval service as a Miscellaneous Auxiliary at Eureka Shipbuilding Corp., Newburg, N.Y.
Decommissioned, 3 May 1946, at Orange, TX. 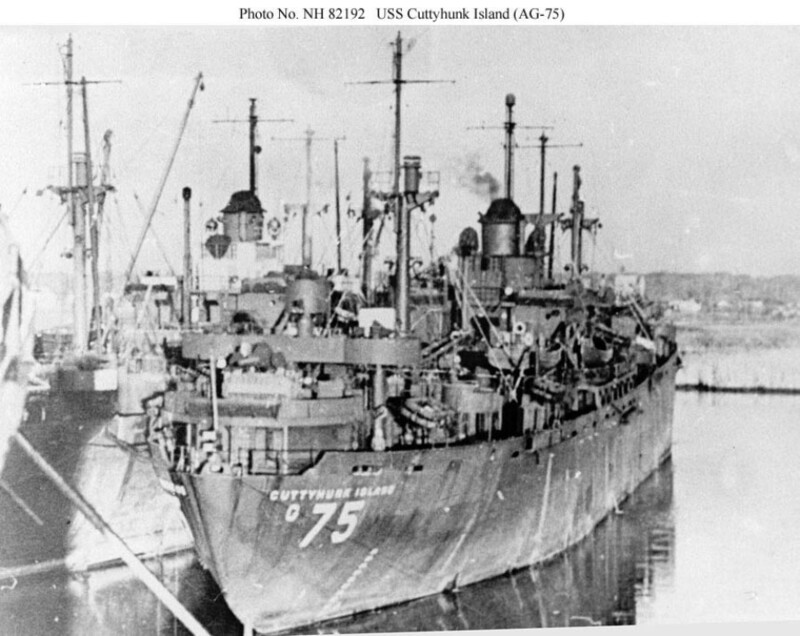 153k USS Cuttyhunk Island (AG-75) alongside a possible sister in 1945-1946. This vessel saw only brief service in the Atlantic before reporting to Orange, Texas, for decommissioning, 31 January 1946. She is probably shown at Orange in 1946 alongside either USS Indian Island (AG-77) or USS Kent Island (AG-78).